During my time at the Institute of Culture & Creation Spirituality, CA, we did an exercise in liberation: from a mixed group the teacher invited those in a certain category to walk forward and then gave the instruction, “look who’s with you; look who’s not with you”. All the colours of the gender and sexuality rainbow, all the shades of skin colour, the abled and disabled, the haves and the have nots…and those who had been incarcerated and those who had never known that restriction on freedom. The point of the exercise was to show that oppression takes many forms and some suffer multiple burdens (there were some in the class that got a lot of exercise that afternoon) while others are comparatively privileged (many barely moved). The point about prison is that, in theory, convicts bring it upon themselves. We all know that, in practice, that ain’t necessarily so. However, even if we ignore all prisoners of conscience, all prisoners of war, all hostages, all the disappeared, all the innocent locked up for the crimes of others, taking the rap willingly or not, we still have the question of the limitation of universal suffrage. What are the criteria by which we as a society judge that someone is eligible to vote in a local or general election or referendum? And how are those criteria defensible? Those guilty in the last 5 years of corrupt/ illegal practices in connection with an election. Those under 18 years of age. The common law restriction on grounds of mental incapacity has been abolished (although the bar to anyone acting as proxy to someone incapable of electing a proxy stands). There is an ancient example of an attempt at restriction from Greek myth. So even though the Classical Greeks some centuries after Homer did not practice universal suffrage, they respected the value of this foundational cultural myth in recognising the sense of citizenship as universal and as a divine gift – at least enough to quote it. Nowadays we appear to feel ourselves wiser than our philosophical ancestors. We judge that someone who has broken the law is not eligible to decide who should make the law. This concept of eligibility is confused. A person who lacks the capacity to understand the law is not a criminal. A criminal (being of sound mind and understanding the difference between what is legal and illegal – a difference not the same as that between right and wrong) chooses to break the law. That is a choice, the older word for choice being ‘election’. In another cultural foundation story, that of the Garden of Eden, choice is the first gift given after life itself. 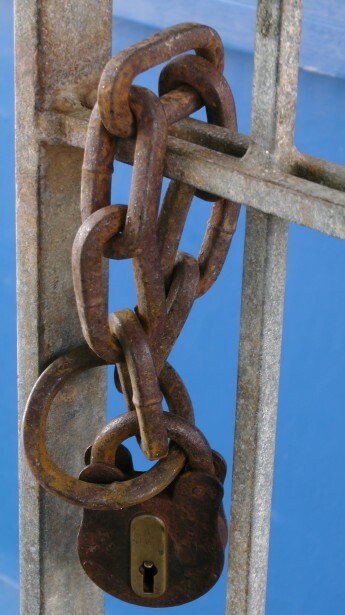 The story tells of our ancestors making the wrong choice but it does not go on to say that the gift of choice (between right and wrong – and later between obeying and breaking the law) was revoked. Greek and Hebrew cultural wisdom concurs in valuing the exercise of human choice, whatever that choice may be. Why do we consider ourselves wiser than our cultural ancestors? Is this not the great sin of hubris to refuse their inspiration? Is it not our duty to rail against our unjust penitentiary system which appears to disproportionally convict and reconvict people on the basis of their race and class and literacy and convenience to big business rather than on right and wrong? Are we right to continue, (all of us citizen voters and all the Lords too, by commission or omission) to disenfranchise the very demographic that might have the most poignant plea for more humanity in our uncaring society? Are even the most hardened of convicts not capable of canny choice of the next government who will make and unmake laws to rule those they love? Hellenophiles may consider that Socrates himself was once a prisoner, considered criminal. Jews have so many kin to commemorate that were not considered POWs but criminals . Even hardened Tory Christians may recall that Christ himself was a convict. I have been in a cell in what archaeologists are almost certain are the ruins of the Praetorium of Pontius Pilate. It’s impossible to stand upright inside. I have visited convicts in modern prisons. How do we enable them to be upright citizens if we continue to refuse them this dignity divinely given and one which they may use with devastating effect to right the wrongs of the sick society that put them away? Or is for reason of that fear that we continue to keep them in their restricted position? Protagoras and Meno (trans. W.K.C.Guthrie) Penguin, Middlesex, UK. The original Greek is non-gender specific and refers to ‘all’ and to ‘people’ not just to ‘men’. It was the same smell I remembered from 1981. Must, paint and glue, and then (oh those glory days!) then it was teen spirit. 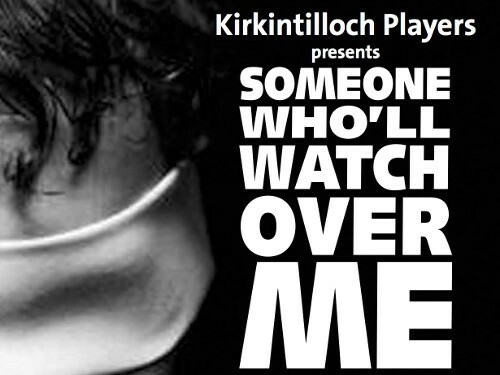 I rejoined the Kirkintilloch Players after an absence of thirty years for three reasons: to schedule more time with my mother; to learn, after some years of my ad hoc community drama group and a Master’s in Playwriting & Dramaturgy, from their theatrical practice; and nostalgia. The word ‘post-industrial’ was no mere theoretical category in those days. The Lion Foundry was shut down and a proud tradition of craftsmanship ended. The canal, now flowing free, was choked and Lord Beecham was to blame for the removal of our railway branch line. I and my infant friends went to separate schools and even our boyhood cub and scout groups were (sometimes unofficially) affiliated to different denominations. I didn’t appreciate then how many divides I was crossing when I joined this local amateur drama club in my early teens. Sectarianism simply wasn’t an issue and when our other teen prejudices were voiced our adult mentors were wise and prudent and affirming, in that understated Scots way, of diversity. I am a more confident and open-minded person today because of that experience. Iain, Gillian and Gus, and all the adult members of the Players we met at Panto-time who patiently taught us to apply cold cream before greasepaint, how to overcome stagefright, how to bow in chorus, thank-you for watching over us. Monday 4th to Sat. 9th May 2015 we’re performing the rarely-produced harrowing three-hander by Frank McGuinness: Someone Who’ll Watch Over Me. Doors open 7pm, curtain up 7.30pm, tickets (£9, £7 concessions) sell out fast. Get yours from the Cast or from The Old Sweetie Shop on the Cowgate, Kirkintilloch High Street, G66 1HN. Set in the 1980s, during the Beirut hostage crisis, the stage set consists of three straw bags, three stone blocks with chain attached, a crate, a broken chair, a Jerusalem Bible and an English Koran. I’m Michael the bewildered English university lecturer, my companions and antagonists are Edward the belligerent but affectionate Irishman and Adam the American, ‘beautiful to look at, kind, gentle’ and gradually going out of his mind. With associations from the prisoners in Plato’s cave of shadows to the rhythmic alternations in the story of the Old Man of the Mountains and his drugged Assassins (echoed in La Vida es Sueño, Abre los Ojos, Vanilla Sky, Kiss of the Spider Woman) this play reveres the power of the imagination to keep us alive – and to delude us. Come to Kirkintilloch. Watch over us. In my series of inclusive mystery novels, the protagonist Bruno and his boyfriend have just acquired a puppy called Max and he is struck by the resemblance of the discourse of master-dog with that of master-slave. ‘He’ being Bruno. I have yet to extend my storytelling insight into the mind of an animal. A blog post this week by the Very Rev and very jolly Kelvin Holdsworth (whose Episcopal Cathedral welcomes dogs and once yearly turns into a blessed menagerie) discusses Christian-Jewish relationships and in particular Christians celebrating Jewish Seder services. It reminded me of a lecturer at teacher training college telling us that vegetarian/ vegan Jews wishing to avoid lamb, at the Seder, substitute beetroot. Because it’s the only vegetable that bleeds. I know vegetarian/ vegan Jews (and Christians) who have eaten lamb at the Seder out of respect for the tradition and because this death at this time serves a higher purpose. One of these friends is a Jewish atheist whose belligerent politics are so far to the Left she could have served as the inspiration for ‘Milly Tant’ of the comic book, Viz. She now eats beetroot instead and is grateful for the info (so do pass it on). Without wishing to stray into theories of atonement and supersessionism (I just learned that word, from the same blog, and am practicing using it) I think it behoves Christians at Easter and Jews at Passover to think about animal sacrifice. It’s a word that, nowadays, we use only in reference to Voodoo and to vivisection. Having lived in Brazil, and having more university degrees than sense, it is clear to me that the pious practitioner who sacrifices an animal in order to attract a blessing has more claim to serving a higher purpose than the callous ‘researcher’ who just wants in-vivo on her CV. Especially when the sacrifice is proceeded by torture of the animal and when the products being tested are cosmetics. Biblical animal sacrifice, in both the Hebrew and Greek scriptures, was a merciful alternative to human sacrifice. Which was always in the background and on one occasion came to the fore. One does not have to believe that Christianity is the more ethical continuance of Judaism in order to affirm that people of good will (which may include many atheists and exclude many theists) have a duty to find increasingly merciful alternatives when faced with an apparent need to cause pain and death to either humans or animals. The substitution of a ram for Issac (for Ishmael in the Qur’an) is the sacrifice of something extremely valuable, especially in a nomadic herding community, in place of a human being. The callous contempt with which we treat animals as only instrumentally valuable – caged, tortured and killed for our gluttony and our vanity – when merciful alternatives are plentiful, cannot be called good will; it is not benevolent but malevolent. It is evil and not less so for being so bland, so everyday, and so unthinking. 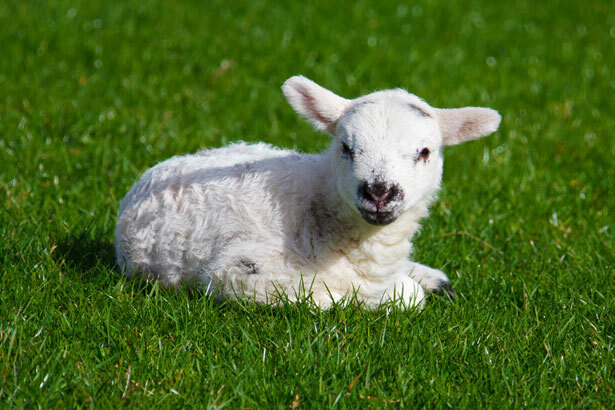 This Easter, this Pesach, when we meditate on the lamb that was slain, let’s think about the humble beetroot and ask ourselves if enough blood has already been spilled in the name of religion and if we really need to be so bloodthirsty.